Tremblant is THE Destination for Your Corporate Events! Whether you are planning business meetings, company-wide seminars, team-building activities or simply wanting to host clients in a breathtaking setting, Tremblant is THE place to make it happen while breaking with everyday routine. This year, Tremblant was voted #1 Ski Resort in Eastern North America (including Canada and the USA) by SKI Magazine’s readers for the 18th time. In less than 65 minutes, Air Canada will take you directly from Toronto (Pearson) to Mont-Tremblant’s international airport. Air Canada offers up to 14 flights per day between LaGuardia (LGA) and Toronto Pearson (YYZ) airports, making connections to Tremblant a breeze. 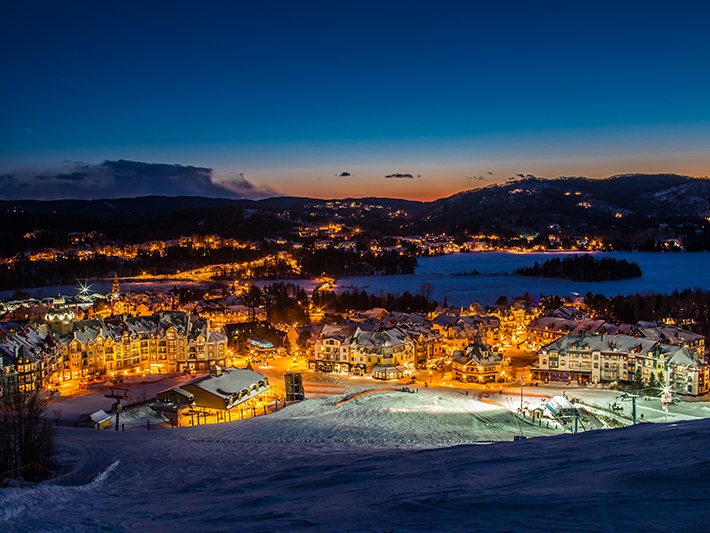 As soon as you step off the plane in Mont-Tremblant, you will be transported into a completely different world. 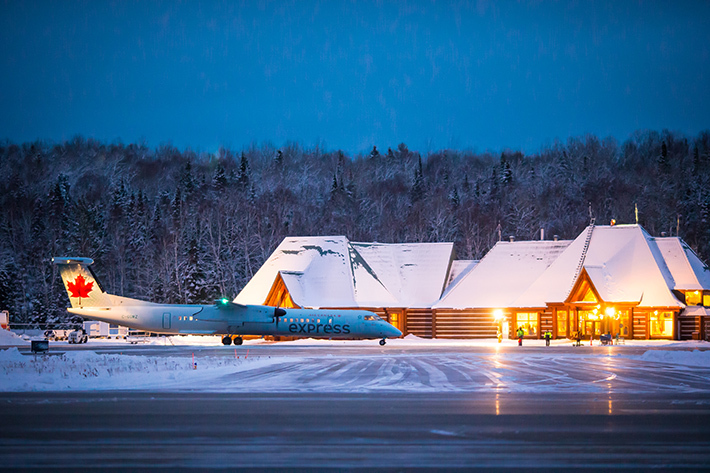 The log-cabin terminal’s small size ensures there are no delay upon arrival and the welcome is as friendly as the atmosphere. You have truly left the big city behind! Add to this the favourable exchange rate for our American visitors! Air Canada’s 4 direct flights per week mean less time spent getting there and more time there, enjoying the resort’s many available activities. Our 52 meeting rooms, including 2 conference centres, 2 movie theaters and a panoramic building located 875 metres above sea level, offer more than 60,000 square feet of meeting space to groups and organizations of any size. And everything is within walking distance from our hotels, restaurants and shops! With a multitude of activity options to stimulate strategic thinking, creativity and professional interactions, you will surely be inspired! Spread over 662 acres of terrain and 4 mountain sides, Tremblant’s 96 trails and 3 snow parks are a vast playground for beginners and experts alike. Nothing beats the power of fresh air for opening people’s minds. Make the most of your team’s time and let an Info-Ski guide show you the mountain’s secret corners and provide you with restaurant and activity recommendations! 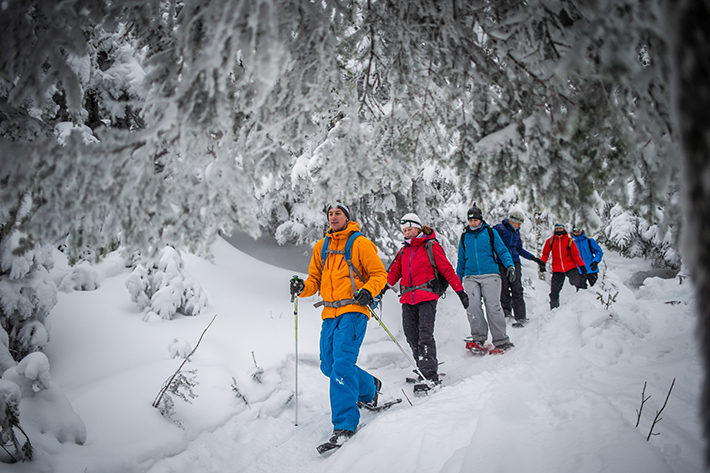 As they climb up a wall of ice, try the snowy tree-to-tree Adventures and Aerial games, or head out on a nighttime snowshoe hike, your team will have plenty of chances to work together and create tighter bonds thanks to Tremblant’s many unconventional activity options. With its pedestrian village, where everything is available on foot, Tremblant is the perfect destination for a memorable experience that your business partners will remember for a long time to come. Nowhere else will you find such a welcome change of pace and scenery offering year-round amenities customizable to your group’s specific needs!